Peabody Farm raises heritage pigs, hosts seasonal Markets, Farm to Table Dinners and fundraisers for our community. Peabody Farm started with two red pigs and 60 acres of land in St.Pierre de Wakefield. 6 years later we have moved to a beautiful farm in Venosta, Quebec, where our pigs are born and live in the fields and woods. We sell pork, piglets to other farms to grow, host farm to table dinners as well as our large Christmas and Easter Markets at our farm. We are learning how important it is to keep our footprint as small as possible. We have made a big effort to reduce our freezer space to a minimum and only sell fresh pork at our markets and pork pick up days. We coordinate these dates with our customers so that they have time to make their cut selections and place orders. Pierre LaFramboise and Sandra Marsters host events and dinners at the farm along with selling pork from the farm, to local restaurants in Ottawa and Quebec. In 2018 they raised $8000. for the local Arena in Low. Since opening in 2013, Peabody Farm has brought local farming and community to the forefront of our lives. Every year we have participated in markets, fairs, and local events to find out what works best for us. Now we host bi-annual markets with as many as 40 local vendors and 750 guests. Events are what we love. 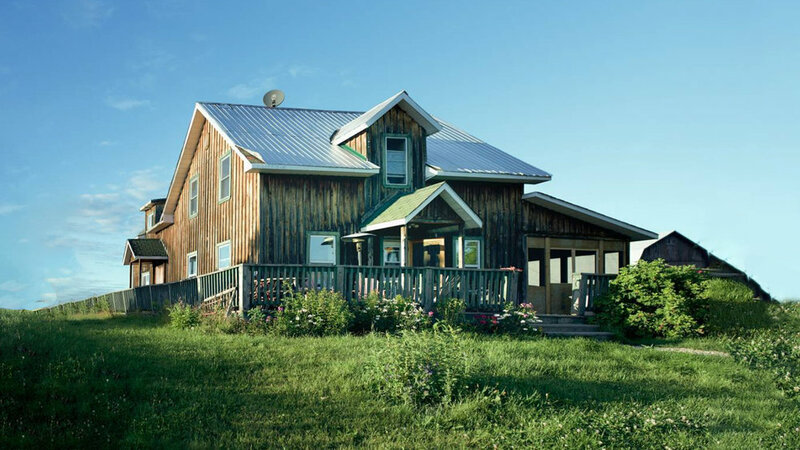 Hosting dinners on our farm that feature local produce, meats and culinary talent.